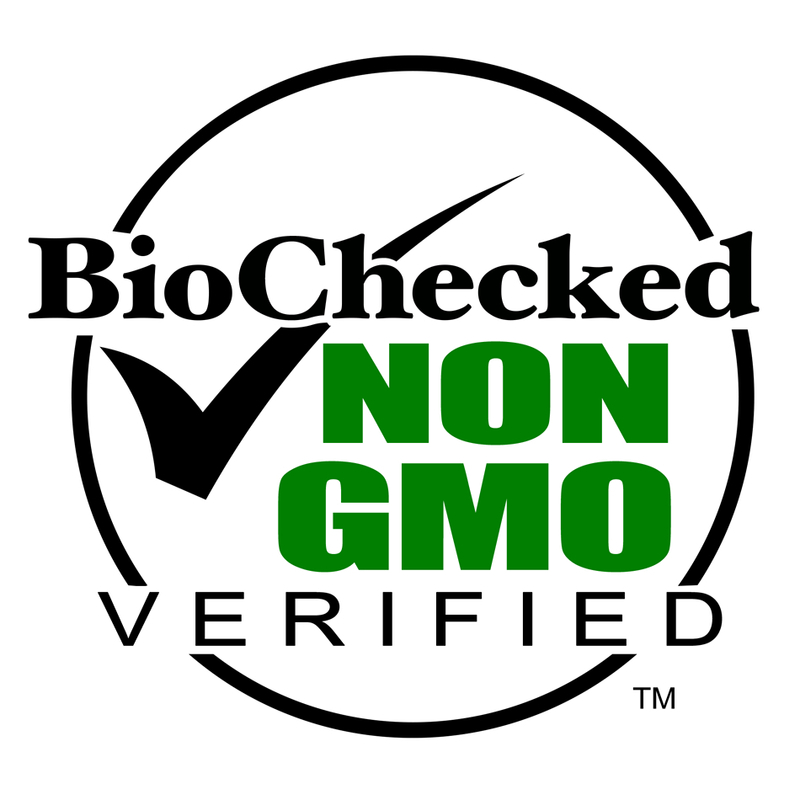 Zint Organics Gelatin and Collagen Receive “Non-GMO” Certification by BioChecked™ with an ISO 17025 accredited laboratory. Zint, a USA based company specializing in Nurticosmetic and Superfoods has passed BioChecked™ rigorous testing for Non-Genetically Engineered Certification (Non-GMO) of its highly popular Gelatin and Hydrolyzed Collagen Supplements. Zint was created to provide consumers with the highest quality Non-GMO, great tasting, health enhancing Nutricosmetic and Superfood Products. In addition, they are dedicated to working with partners who adhere to sustainable farming techniques as well as to those who maintain humane and ethical practices of farm raised animals. Zint’s Non-GMO Gelatin and Hydrolyzed Collagen are colorless, tasteless and odorless. They easily mix with food and or drinks to promote collagen production within the body that benefits aging skin, hair, nails, ligaments, joints and cartilage repair. With the recent health craze that has been occurring, and the backlash that GMO foods have received, it should come as no surprise that consumers are interested in purchasing foods that are natural and healthy and Non GMO. Zint is committed to offering you superior products that are safe and natural. Caring is the primary inspiration to why they exist and they hope to promote a healthier society by offering their clients cutting edge, all-natural products that will help them feel good about themselves and encourage them to live a healthier lifestyle. Zint will continue to develop new products that can meet each and everyone’s needs. Maintaining good health is the key to a productive life, and Zint want you to enjoy it to its fullest. Zint’s commitment to quality shows in every step of their production process. No pesticides, herbicides, or Genetically Modified Organisms (GMOs) are involved in the raw materials or the manufacturing process and have taken that to the next level through BioChecked™ process to raise consumer confidence by having their products checked by an independent lab and certified by BioChecked.™ Zint would also like you to know there is no exposure to common allergens or aflatoxins in their products. Zint’s unique manufacturing techniques with state-of-the-art machinery, ensures that they preserve the natural nutrition of their raw materials to ensure that their customers should get the utmost nutrition. Zint’s state-of-the-art facility has been engineered and designed to maximize production output efficiencies while maintain the highest level of quality control. Gelatin and Collagen Non-GMO Certification. Bookmark.